A man is in hospital following a crash between a fire engine and a bicycle. 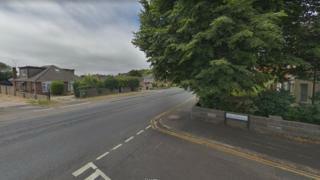 The collision, involving a Dorset and Wiltshire Fire and Rescue vehicle, happened at the junction of Wallisdown Road with Sunnymoor Road in Bournemouth at 12:15 GMT on Saturday. The 49-year-old cyclist's injuries were serious but not life-threatening or life-changing, Dorset Police said. The fire engine had been returning to its station following a call out. It did not have its blue lights on. Witnesses and anyone with dash-cam footage have been asked to contact the police. A Dorset and Wiltshire Fire and Rescue spokeswoman said its crew members administered first aid on the man and called the other emergency services to the scene. She said the service was supporting the police investigation and that it would be carrying out its own internal investigation into the crash.